Heya everyone! 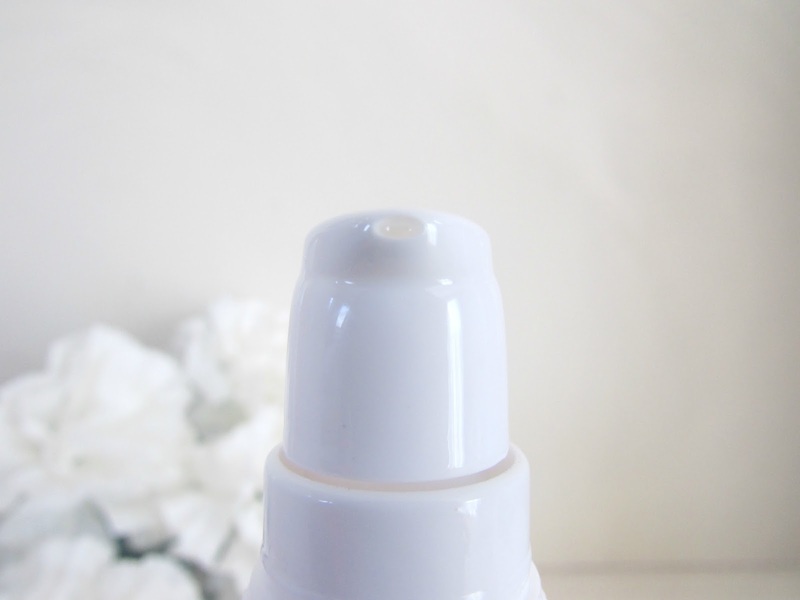 So I have another beauty related review for you all today. 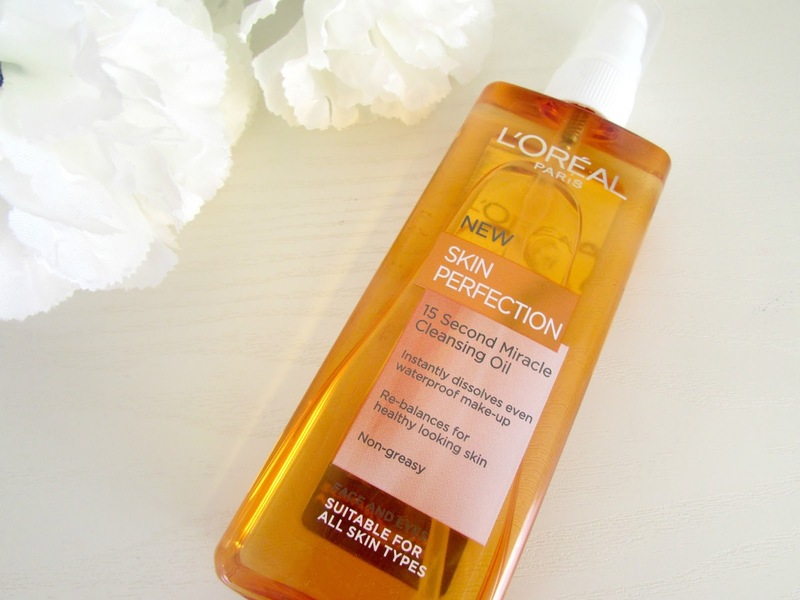 When I was in Superdrug last week I spotted the L'Oreal Cleansing Oil. I have never really used a cleansing OIL before. I mainly use cream based or water based cleansers so to try an oil was something I was looking forward too. When I got it home I decided to start using it that night and I did have some worries. These were that it would make my skin feel too greasy and that it wouldn't be able to wash off my skin properly. However, I was proved wrong and this is definitely going to become a holy grail product for me during 2014. The first aspect that I absolutely love about this cleanser is the packaging. I absolutely love the fact the cleanser comes in a clear bottle. Now I am a huge lover of the cleanse and polish however because the bottle is so incredibly opaque I never really know how much I have left so the fact that you are able to see exactly how much you have got left is a total bonus. I also love the color of the oil as well. The main reason for this is because it was really eye catching. On the shelves they placed it next to the L'Oreal Miceller Water which is a clear product so your attention was immediately shifted onto this oil. Another thing I absolutely love about the packaging is the fact it comes with a pump. I absolutely love products that have pumps. I just think it's so much easier to estimate how much you need so you don't go overboard. If you don't think you have enough product you can always pump another amount it. I just really love pumps! Another aspect I love about this cleanser is that it can be used on not just your face but can also be used near the eyes. Even though I absolutely love miceller waters they do tend to irritate my eyes but I get none of that with this product. This is probably due to the obvious reason that the product isn't filled with harsh chemicals that can sting the eyes as well as damage the skin and strip the skin of their essential natural oils. This cleanser makes sure that it retains all the oils that you need in your skin. Bonus or what? I definitely agree with the claim that it 'Instantly dissolves even waterproof make up'. As you know I am a huge lover the Maybelline The Rocket Waterproof mascara and I find with other cleanser it is extremely difficult to remove however it comes off like a dream with this cleanser. When using this cleanser I apply a pump (or two) on my hands and massage the oil all over my face (including eyes). Let's just take a minute to talk about the fragrance. I've seen a couple of reviews that says it doesn't really contain any scent but I find it to be quite fruity and very pleasant. Once the cleanser has been applied all over my face, lashes and eyes I then apply cold or luke warm water. 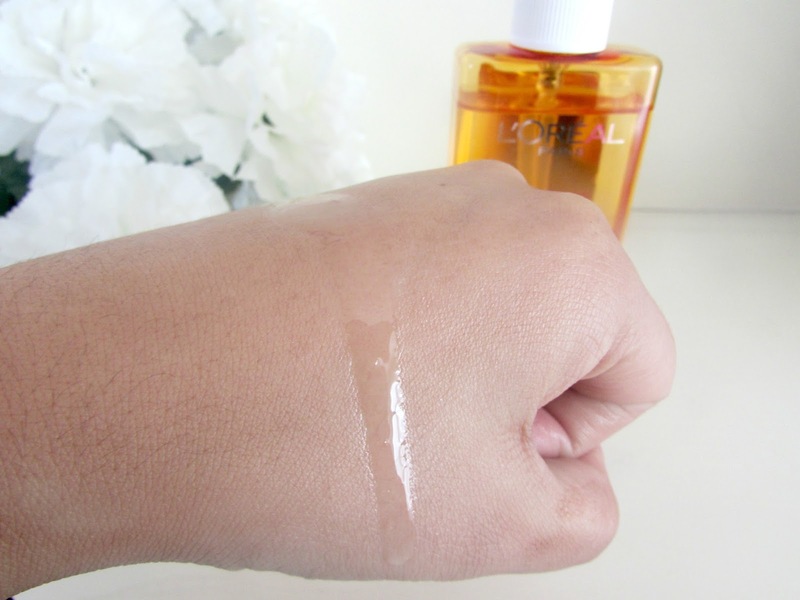 Upon application of the water the oil is immediately changed into a light white color and the consistency is incredibly watery and definitely not greasy at all. This is to ensure that it also cleanses your face as well as removes all traces of make up. It also leaves your skin feeling incredibly clean and soft which is how I love my skin to feel after I've used a cleanser. The cleansing oil washes off just as easy as any facial wash you are applying but leaves an even better result. Overall I absolutely adore this cleanser. It definitely feels greasy upon application but with an oil based product you need to expect that. After I've cleansed my face the oily feel I had when I first applied it instantly disappears and my skin is left feeling incredible cleansed and deeply hydrating. Because of the deeply hydrating properties contained within this cleanser I would highly recommend it for those of you who have normal/dry skin. Like I've mentioned before it isn't a harsh cleanser so it won't strip your skin of the natural oils contained. If you're looking for a product that not only cleanses your skin but removes all traces of make up then this is for you! It can be purchased at Boots for £7.99, however I purchased it in Superdrug for £5.49 (I think...I definitely know it was £5 something). 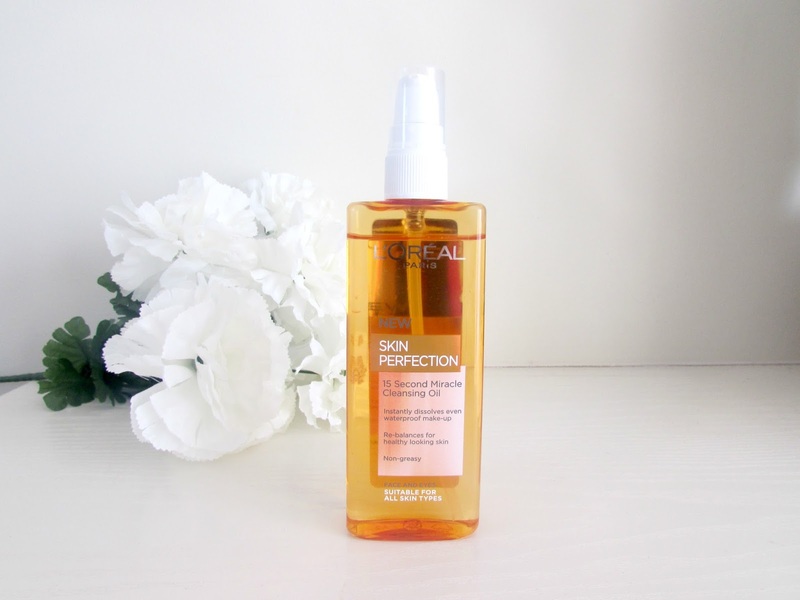 Have you already tried this cleansing oil or any other cleansing oil? What are your views on them? I really wanted to find some more affordable cleansing oil! Thanks for sharing! This oil sounds so scary, I am going to give them a try but eeeeeeee! haha omg it's not scary at all!! Definitely give it a try, you'll be pleasantly surprised! I would have bought this if it didn't contain mineral oil and it just breaks me out.